DISCLAIMER: I am NOT in any way responsible for any data loss or hardware damage caused by unsupported software on your LeapFrog Epic. Always observe common sense and make backups before doing anything drastic, OK? A number of people, parents to be specific, have been asking as to how can they install Google Play Services on their children's LeapFrogs. Unfortunately, this involves rooting the device, mostly using utilities such as Kingoroot. In my case, only the PC version of Kingoroot works; Kingroot may also work, but the default Kids Launcher spazzes out for some reason, making it unusable. Prior to rooting, you need to install the necessary ADB drivers (I think Windows 10 will have that installed automatically), then enable USB debugging using the Developer Options shortcut in Pollywog or some other developer options shortcut app (tapping the Build Number item in About device does nothing, unfortunately). You may want to mount /system as read-write as this involves copy/pasting files to /system. This tool should come in handy in that case. From there you can now download the likes of YouTube Kids and other such applications which aren't available on Amazon or LeapFrog's own app store. I also recommend using an ad blocker such as AdAway to keep those pesky banner ads from showing up on your kids' games; don't get me wrong, those ads are there for a reason, but they are sometimes so pervasive that it can be harmful to your kids. The tutorial works great but i need to update google play services apk. I found the latest version on https://www.androidapksbox.com/ and https://www.apkmirror.com/ . The file from zip didn't work, maybe too old app? but after try the latest version it works great. 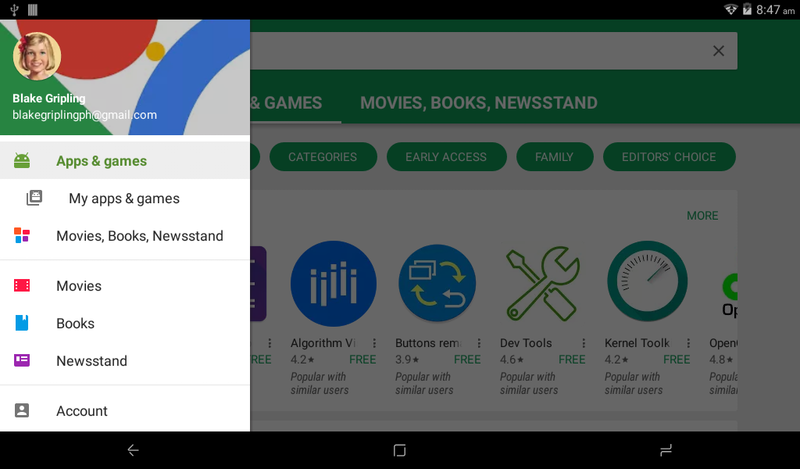 (12-16-2017, 07:32 PM)refanaid Wrote: The tutorial works great but i need to update google play services apk. I found the latest version on https://www.androidapksbox.com/ and https://www.apkmirror.com/ . The file from zip didn't work, maybe too old app? but after try the latest version it works great. Strange, it works on my end, but that being said I may have to update said package based on what you can attest. Anyway of making this process a bit more user friendly ? an older version of YouTube Kids. This would be an incredible relief if possible, maybe even a video walk-through of the process would help immensely. Hopefully it isn't asking too too much. Sure thing, I'll see what I can come up. There is actually an even cleaner method using TWRP and OpenGapps, but as you said I gotta do a walkthrough of that. (05-14-2018, 06:15 AM)huckleberrypie Wrote: Sure thing, I'll see what I can come up. There is actually an even cleaner method using TWRP and OpenGapps, but as you said I gotta do a walkthrough of that. I'll let you know once I come up with a video about installing TWRP, Gapps and SuperSU, all in one go if you want. The latter two steps are optional, but shows what you can do with a custom recovery on the Epic. Thank you, my children will be extremely happy and I am already very appreciative. I would have attempted to do it but can't afford to ruin the epics, visual guidance is always best. True that. As a side note, once you install Google Apps on the Epic, it'll only show up on the parents menu so whenever your kids want to install let's say Minecraft, they definitely will need your consent before said apps can be purchased or installed. I've just made an updated thread with a video tutorial which should explain everything you need to pull it off.